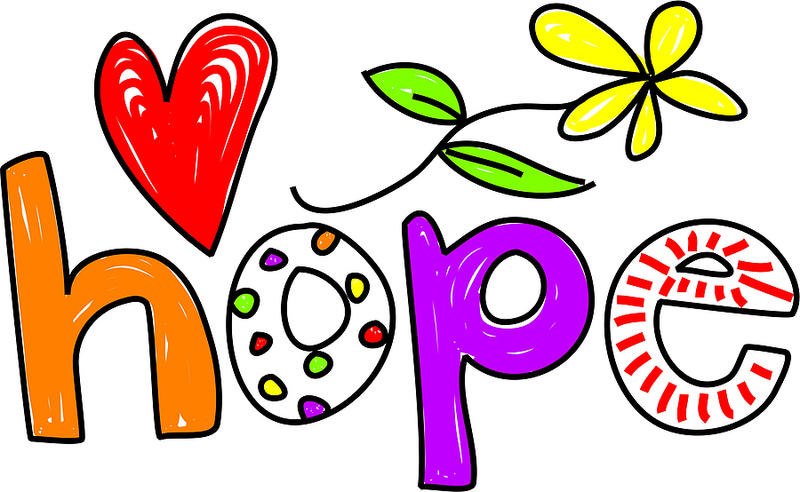 Hope – Not a 4 letter word! I’ve been reading a couple of articles lately that state hope is paralyzing. They basically say give up on hope and take action. These articles seem to equate having hope as being helpless. There seems to be this idea if you have hope than you live in Never Never land and don’t get reality. I’ve read hope doesn’t create change, it allows people to let other people do the work for them. I’ve heard many people talk of hope with disdain. I don’t get it. If one does not have hope, they are hopeless. (A synonym for hopeless is despair.) I imagine if someone is hopeless then they are stuck, unable to move. If a person can’t picture a better tomorrow then what motivation do they have to make changes? If a person can’t believe that their situation may improve or that they will have the strength to get through this difficulty– how can they possibly move forward. It seems more logical to me that people would get stuck in despair not hope. Even in situations that seem hopeless – like a loved one dying of cancer or losing your home or a relationship breakup, having hope can make a difference. If I can believe I will be able to handle the situation, that I can grieve and be OK again or that there are many more opportunities for me then I can keep going. I believe that part of my job is to help people stay hopeful (hence my tag line “helping you hold hope”.) I figure I can picture the other outcomes for you until you can do it yourself. Having hope doesn’t mean you believe that money will fall from the sky or that everything in your life will magically be amazing. Having hope means you know there is a purpose for you. Having hope means that today and tomorrow are worth it. Having hope gives you reason to keep going and experience life fully. There is no contest; I would rather a world with hope any day.